Leavenworth (population 35,400), situated along the Missouri River in northeastern Kansas, was the state's first incorporated city. The city's downtown commercial and warehouse districts bear a number of large, historic structures that were abandoned and neglected following the decline of the city's industry. 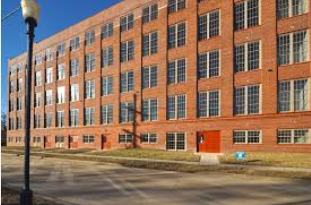 The Industrial Warehouse Historic District was nominated to the National Register of Historic Places in 2002. The city plans to redevelop the former warehouse site into an 187,000-square foot mixed-use complex, complete with apartments, retail shops, offices, and a hotel. This historic area is located in the city's lowest income neighborhood with the highest percentage of poverty, unemployment, and minority concentration. Originally the Great Western Manufacturing, the first set of buildings contained the stove company which manufactured iron casting, chrome and porcelain kilns, and paint processes. Assessments identified lead, arsenic, mercury and polycyclic aromatic hydrocarbons (PAHs) both in the soil and below ground surface. Asbestos-containing materials and lead-based paint were found throughout the buildings including in timbers and windows. The first section of cleanup and redevelopment has been completed. The renovated warehouse buildings are serving as a catalyst for improvement to Leavenworth's downtown area. 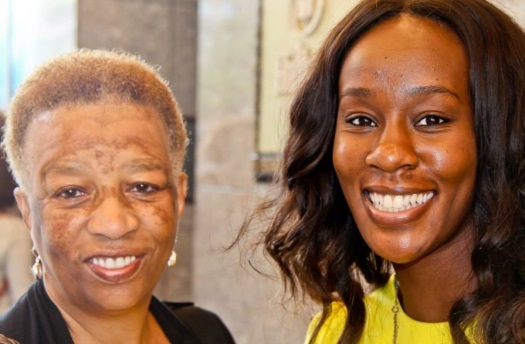 After a 12 year effort surmounting many, many obstacles, including roadblocks associated with working on an historic site and trying to accomplish this during a recession, the first 36 loft apartments were available for rent February 2015. Perseverance has paid off! 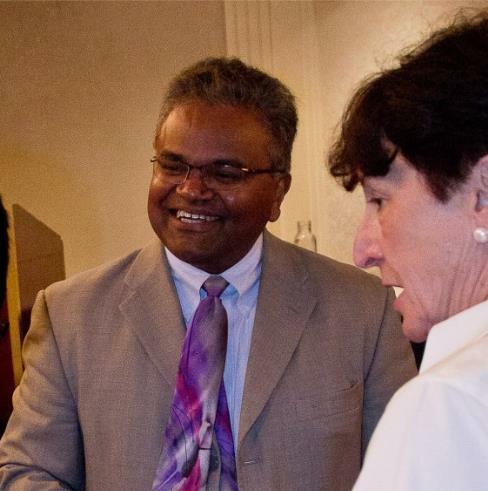 The city's project created jobs, greatly improved the local economy, saved an historic structure from ruin, and provided housing for military officers and Department of Defense civilians attending education programs at nearby Fort Leavenworth. The FY16 ARC grant competition solicitation was made publically available on October 20th and applications, submitted using www.grants.gov, were due by December 18th. This is the first year all assessment, RLF, and cleanup grant applications were mandated to submit through www.grants.gov, per Agency requirements. Applications will be undergo two review rounds: threshold review and ranking review. Reviews are already underway and we anticipate announcing the new round of grant selections by June 2016. The submission for FY16 EWDJT grant applications ended January 14th. It is anticipated that the FY17 RFP will be issued late Fall 2016 with an approximate 90 day application window. The RFP for the FY17 BF Area-Wide Planning competition will open early Spring 2016. 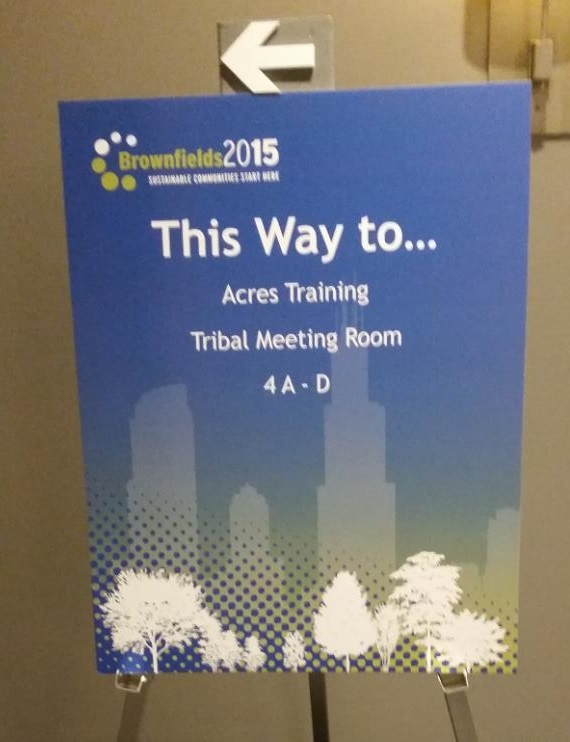 Another successful Brownfields Conference is in the books. 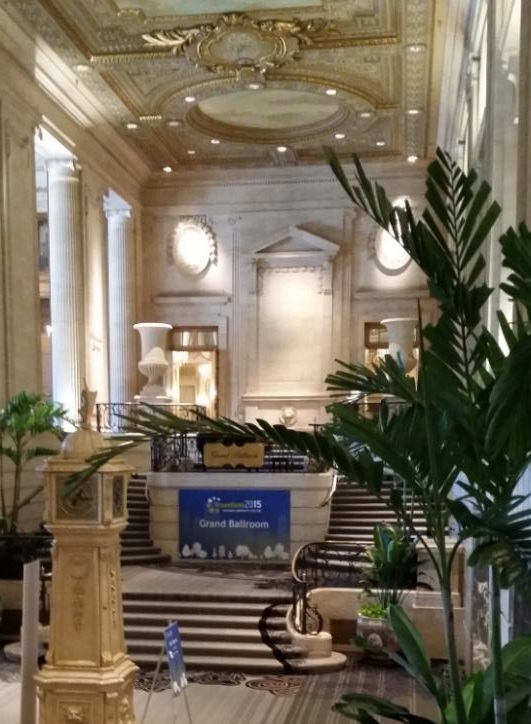 The 2015 Brownfields Conference was held in Chicago, on September 1-4. We welcomed many wonderful sponsors, exhibitors, and over 2700 attendees- making this year's event another great gathering of brownfields stakeholders. The conference offered tremendous opportunities to not only gain more knowledge but also learn best practices and trends in the field. Most importantly, the conference provided dynamic educational programming, ranging from speakers, discussions, mobile workshops and more. And it continues to be a unique event for networking and meeting other professionals from a much larger community. We look forward to many more successful conferences in the future. There were many, many activities available and these floor to ceiling charts helped participants navigate the conference. Team ACRES provided 3 training sessions, help desk support and was also available in the Exhibit Hall with the OBLR group. There were approximately 25 ACRES training attendees and an additional 150 attended the National RLF meeting on August 31st. It was wonderful to meet so many of our users. 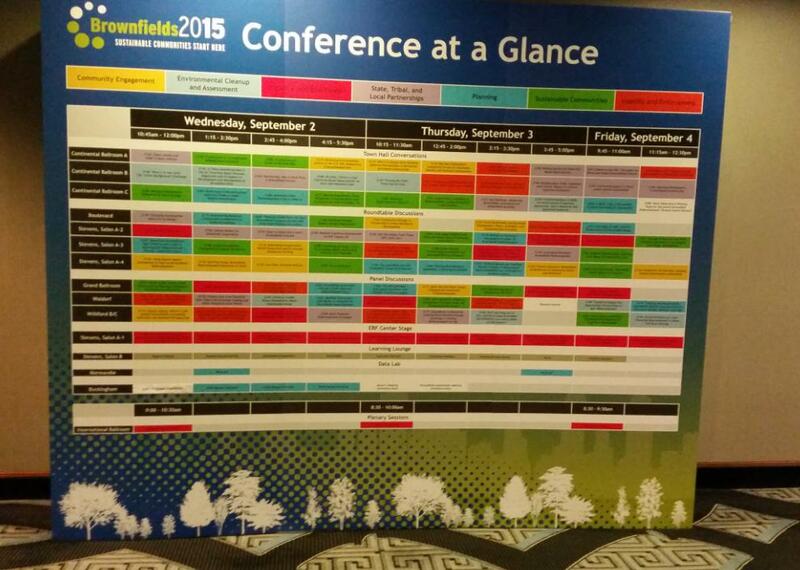 Anyone interested in viewing one of the plenary sessions at Brownfields 2015 can watch them online at: http://www.brownfieldsconference.org/en/Page/42/Plenary_Speakers. The 'Export to Excel' option for this tab has been modified so that the printed spreadsheet option can be sorted by any of the data columns. Nineteen older grants (award years 1998 - 2004) have been designated as Showcase Community Grants. Previously these were designated as either an Assessment or a Cleanup grant. 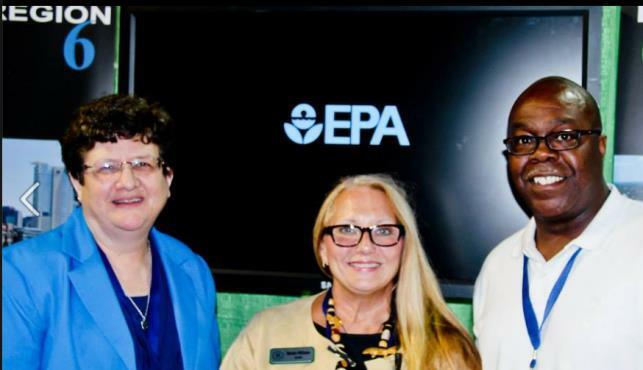 These grants provided funding for the Brownfields Showcase Communities program, whereby EPA staff were assigned to work at the city level on the city's brownfields program under an Intergovernmental Personnel Agreement (IPA). The Showcase Community Grants can be easily viewed using the ACRES Find Property/Cooperative Agreement tab, filtering on a Cooperative Agreement Type of "Showcase Community." A link has been added to the Quick Links section on the Home page. Click the Instructions for Completing a Property Profile Form (PPF) link and detailed instructions are displayed for completing a Brownfields Property Profile Form. Project Officer comments are now retained after the Quarterly Report is returned for clarification to a grantee. The EPA Project Officer can view them after the updated report is returned for approval. The report for this tab has been problematic for larger regions due to the substantial number of work packages to display. To resolve the problems the report now displays the data on pages as opposed to one long running report. Similar to the Regional Performance Report, the default displays 10 work packages per page. At the bottom of the report, the user has an option to display up to 50 work packages per page (options are available in increments of 10). Note that the sort feature at the top of the page will sort for all work packages, not just those displayed on the page. If you have any suggestions for ways ACRES can make your job more effective, please let us know by contacting the ACRES Help Desk at ACRES_Help@epa.gov or (703) 284-8212. These are the final program results for fiscal year 2015. 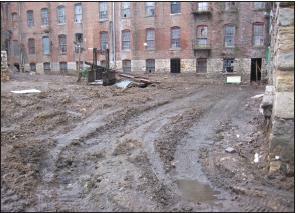 There is a wide array of information to enter into ACRES for each of your brownfields properties, but only a small portion of it pertains to contamination at the site. However, the information in the "Contaminants & Media Affected Information" section is critical, given that the actual or potential presence of contamination is required for a property to be considered a brownfield. In order to make data entry as easy as possible, a list of common contaminants is provided in chart form in the first half of this section, and a list of media commonly affected is provided in the second half. These charts should be updated as appropriate after each major assessment or cleanup milestone is completed for the property. For example, a Phase 1 assessment will identify Recognized Environmental Conditions (RECs) for a property. Therefore, upon completion of a Phase 1, the user should update the Contaminant chart by checking the boxes in the "REC" column that match up to the contaminants identified in the Phase 1. Since a Phase 1 typically does not involve field sampling, the RECs identified may only represent potential contamination, but it's still OK to check the box in this column. We have structured this list to include the most common contaminants or groups of contaminants typically reported. If your Phase 1 identified metals other than lead, then check the "Other Metals" box which will then give you a dropdown list of other metals from which to pick. If you have other contaminants to report not otherwise listed, then check the "Other Contaminants" box and type in the contaminant name(s). Finally, if your Phase 1 turned up no RECs, then you may check the "No Contaminants" box. In the media chart, you can also check off which media are believed to be affected by the various contaminants you reported. These entries can always be updated later if media are later found to be not contaminated after all. Once a Phase 2 or Supplemental Assessment (such as a supplemental Phase 2 assessment or a hazardous building material survey) has been completed, then it is time to go back to this section and fill in the "Found" column. This is where you indicate which contaminants were documented by field sampling at levels that are actionable under the applicable Voluntary Cleanup Program or otherwise expected to drive the need for further action. Please also update the Media table at this time to reflect findings for the property that were learned during field sampling activities. If a cleanup is completed, again go back to this section and indicate which contaminants and media have been cleaned up. "Transparency is all about letting in and embracing new ideas, new technology and new approaches. No individual, entity or agency, no matter how smart, how old, or how experienced, can afford to stop learning."